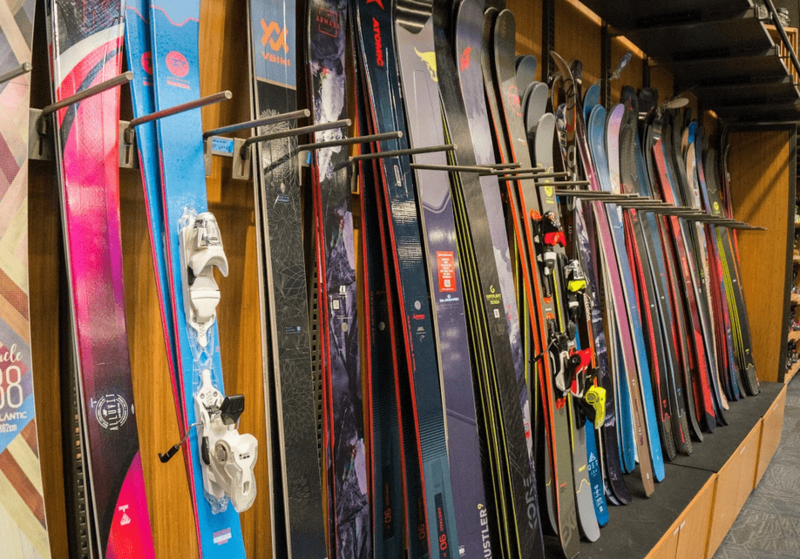 As the ski resorts begin to open across the state, members of the Ski and Ride club at UCCS are preparing for a busy winter on the slopes. Josh Yoder, the president of the club, and his team have planned many different events that will take place throughout the winter including the club’s first trip to Woodward Copper Barn this last Saturday. Woodward Copper is a 19,400 sq. ft. facility with six different foam pits for all ski and riding levels along with multiple different sized ramps for beginners and advanced skiers. The facility has innovated skis and snowboards equipped with wheels to ride down the ramps and launch into the foam pits. “I’ve never been there before so I’m really excited too,” says Yoder. The Ski and Ride club rented out the Barn for 2 hours to use the indoor terrain park. Skiers and snowboarders were free to practice new tricks there without the typical fear of hurting themselves upon landing. Most club members have purchased an Epic Season Pass through Vail Resorts and can travel around to many different locations with the pass including Arapahoe Basin, Beaver Creek, Breckenridge, Keystone and Vail, all of which take anywhere from two to two and a half hours to get to. Several bus trips are scheduled throughout the season, sometimes just for the day, and other times for the entire weekend. The first bus trip of the season is on December 1st to Keystone which opened November 9th. A trip to Breckenridge is scheduled for February and will be a weekend-long trip where a house will be rented out to stay in. Many more excursions are planned for large and small groups alike. Carpooling will be available for those who would like to travel along. Besides heading to the mountains every weekend, the club has some activities planned locally during the spring semester. Yoder is hoping to partner with the Outdoor Club in an effort to create an on-campus “rail jam” where students will be able to practice in a terrain park for the day. Other social events and meetings are planned for students to get to know each other better and talk about upcoming events. The final event of the year is scheduled for May, culminating an exciting and long-lasting season for club members. About 285 people have signed up for the club, and more people are always welcome to join. Members are expected to pay the There is a $15 club fee to join, and it is recommended that people wanting an Epic Pass purchase one before the last day they are for sale:, November 18th.